A highly ornamental kumquat with variegated foliage. Well suited as a pot specimen. Also known as Calamondin it has acid fruit that is most commonly grown in the Philippine Islands although it is probably of Chinese origin. 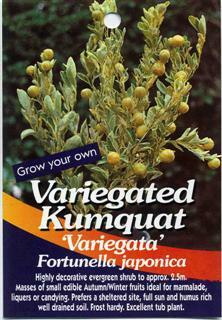 It is believed to be a natural hybrid, with kumquat in the parentage. 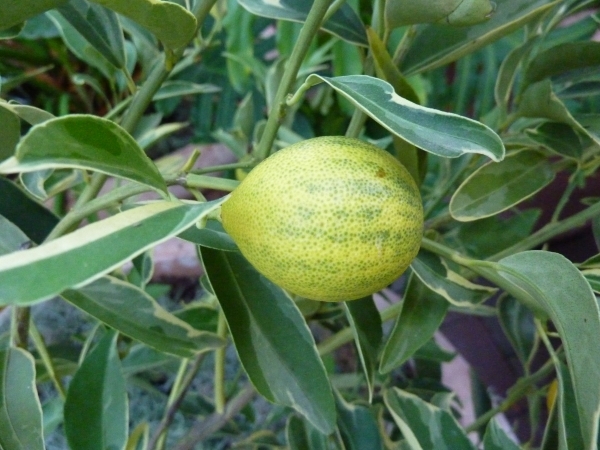 In the Philippines it is sometimes called calamonding or calamansi. Here in the United States it is primarily planted as an ornamental, either growing in the ground or in a container. Calamondin is cold-resistant. The tree form is upright and columnar, and the leaves are small and dense giving the tree a fine textural appearance. The fruits are very small, round, and orange at full maturity. The orange flesh is acidic, juicy, and contains a few seeds. Calamondin trees flower and set fruit intermittently throughout the year, adding to the decorative appeal of these trees. 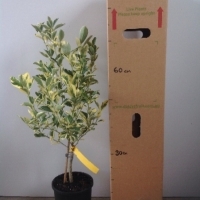 The Kumquat in the 165mm pot is perhaps 1-2 years old but because it is grafted the tree will behave like a 5+ year old tree. This is one of the benefits of buying a grafted tree. 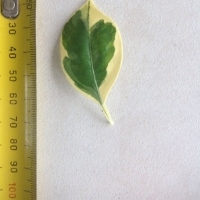 It could fruit in it's first year but we recommend that you remove all the flowers and fruit from your young grafted tree for the first two years to allow your tree to establish into a strong healthy plant before letting the fruit mature as otherwise it will put all its energy into the fruit. You want your young tree to put its energy into roots and shoots for the first two years. On bank above the ramp. 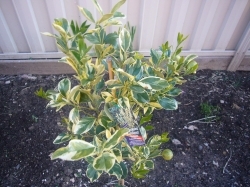 Has always struggled and died back during dry summer 2009/10. 09/11/10 - This tree is doing well with a few fruits hanging on the tip of the branches. It bore no fruit whereever I put it, it then dried out and looked terrible. I then planted it in the ground to hide my shame and it then died/was smothered by other plants. This varietie of kumquate is very juicy and it smell lovely.